David Fletcher appears on the Naked Diner podcast, which can be accessed here. Check it out, where he talks about his new book, Myth Education. 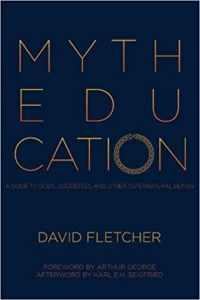 This week Jack and Andy sit down with author David Fletcher to talk about his new book “Myth Education: A Guide to Gods, Goddesses, and Other Supernatural Beings” which focuses on the less often focused on mythologies of ancient cultures outside of the Greeks and Romans. David is a professor of mythology and self-described poly-atheist.